Brighter teeth can lead to significantly improved self-confidence, much the same way that stained teeth can detract from your smile’s appeal. At Raynor Dental, we use the Philips Zoom! teeth whitening system to provide topical teeth whitening treatments. Through our convenient in-office treatments, we deliver brighter smiles for patients of all ages in about an hour. One of the major benefits of Zoom!® professional whitening is the speed with which our patients are able to see positive results. With this in-office treatment, our dentists utilize a hydrogen peroxide gel to bleach the enamel and dentin of your teeth. This topical treatment is activated with the light of the Philips Zoom!® Advanced Power Lamp, speeding up the rate at which the hydrogen peroxide is broken down and making your teeth up to eight shades lighter within a single visit. During each treatment we also use a sensitivity-reducing fluoride varnish for our patients’ comfort. Our whitening treatment delivers amazing results, even for patients with deep-set stains, brightening smiles quickly and affordably. Yes, professional in-office teeth whitening treatment is safe. Some patients may experience irritated gums or additional sensitivity, so it’s recommended that you speak with a dental professional if you want to brighten your smile. 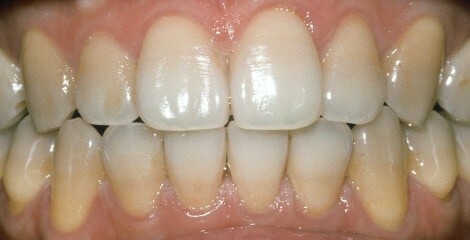 There’s a range of reasons teeth become discolored. Genetics, your environment, even taking certain medication can all have an impact on the whiteness of your smile. 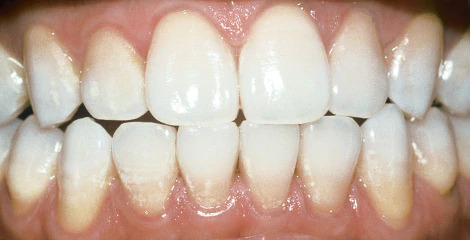 The most common reason is surface stains on your enamel. This is down to everyday food, drinks, and lifestyle choices. 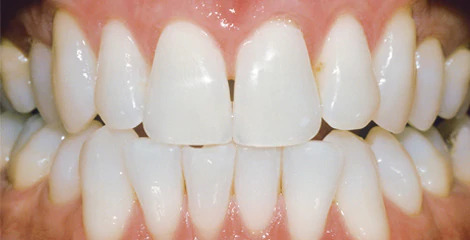 Over time, these stains can work their way to the layer below enamel, known as dentin. 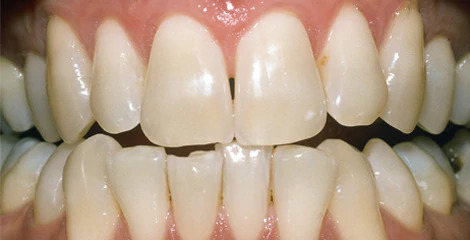 When this becomes stained, the whole tooth looks darker because of the translucency of enamel. There are several options, ranging from professional treatments to over-the-counter whitening toothpaste and strips. Philips Zoom in-office whitening treatments can give you a smile up to 8 shades whiter. The first step is a consultation with your dentist. Talk to us when you come in for a cleaning. Apart from our tooth whitening treatment, your toothbrush also plays a part in brightening your smile every day. We recommend Philips Sonicare toothbrushes. They deliver 31,000 brush strokes per minute to help remove stains and naturally whiten your teeth, especially when combined with a whitening toothpaste. Our whitening treatments are formulated to give you long-lasting results, but the results will vary depending on your lifestyle choices, such as drinking drinks that stain teeth (coffee, tea, soda, etc.) and will make your teeth yellow again over time.